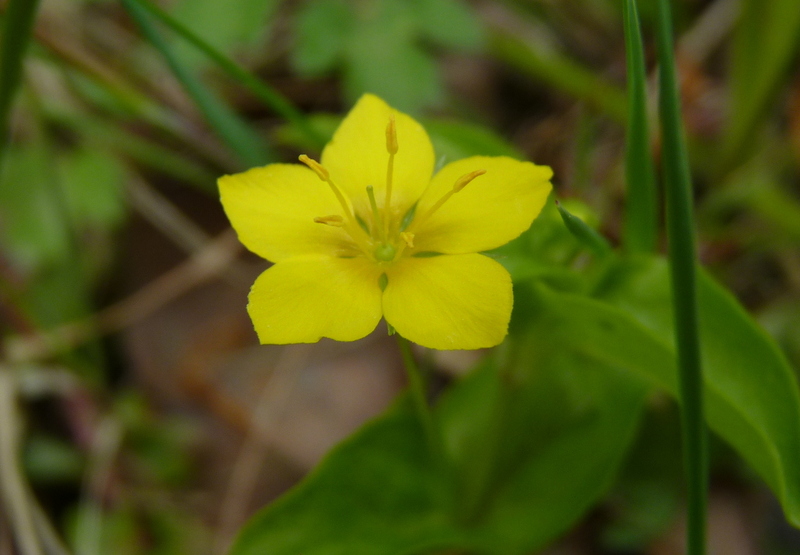 Like it’s cousin the Scarlet pimpernel the Yellow Pimpernel belongs to the Primrose family but that is about all that they have in common. 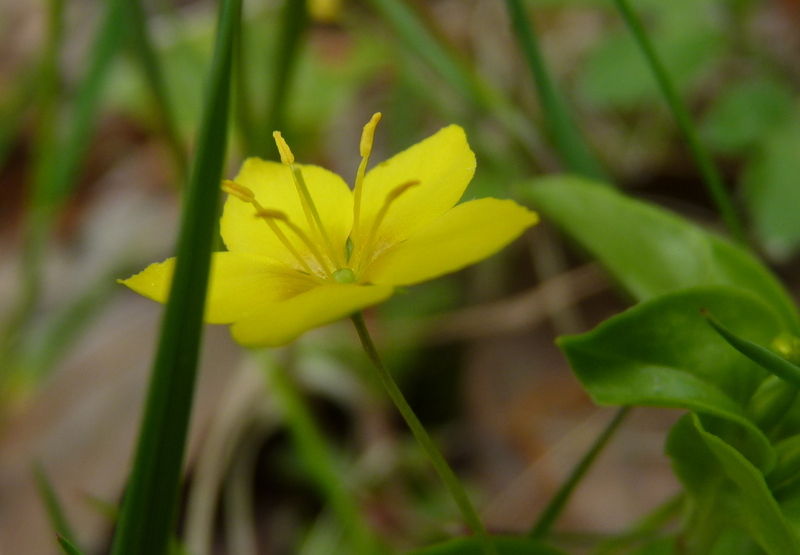 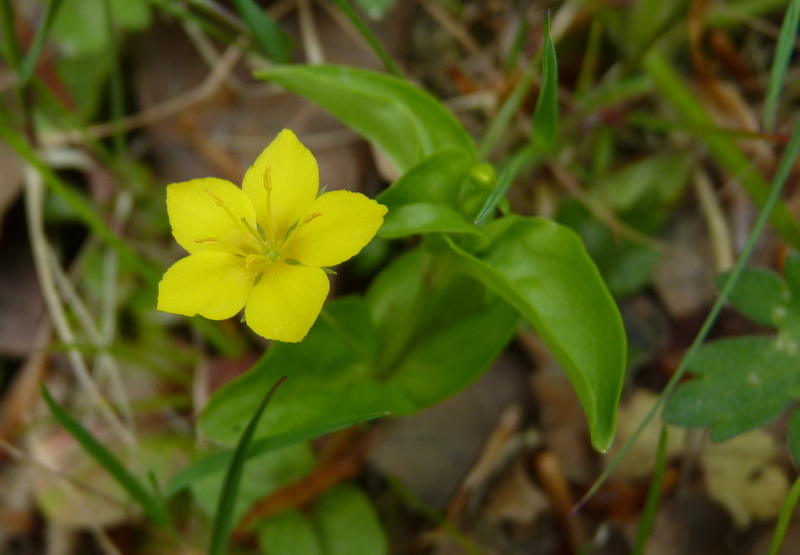 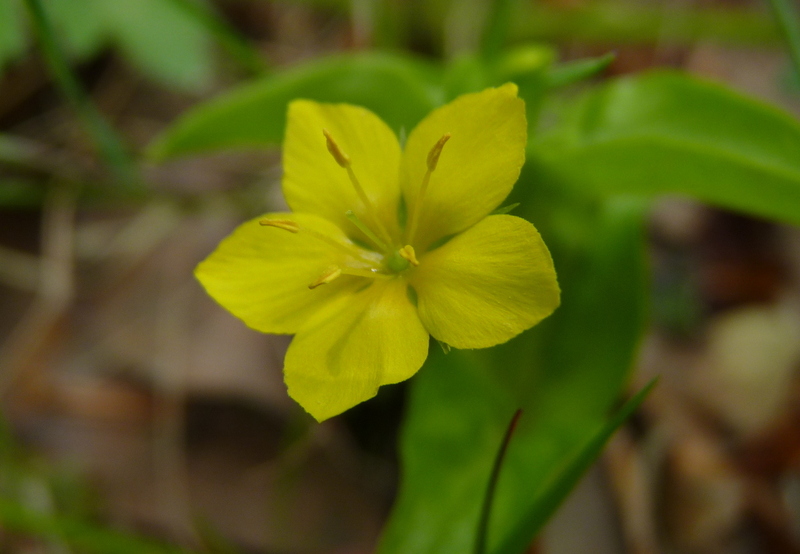 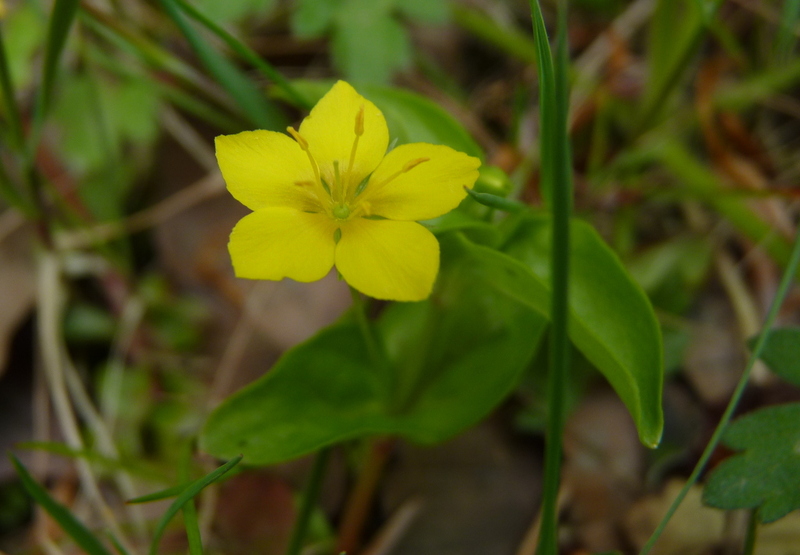 It has five stamens around a single style and it has five petals. 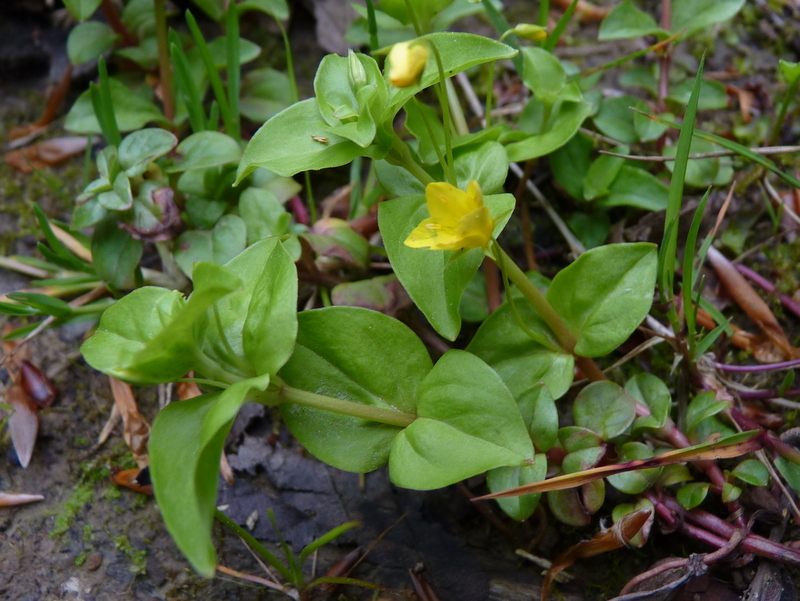 Note the pointed shape of the petals this helps to distinguish it from it’s close relative L. nummularia, Creeping Jenny whose yellow petals are much more rounded and also closer together. 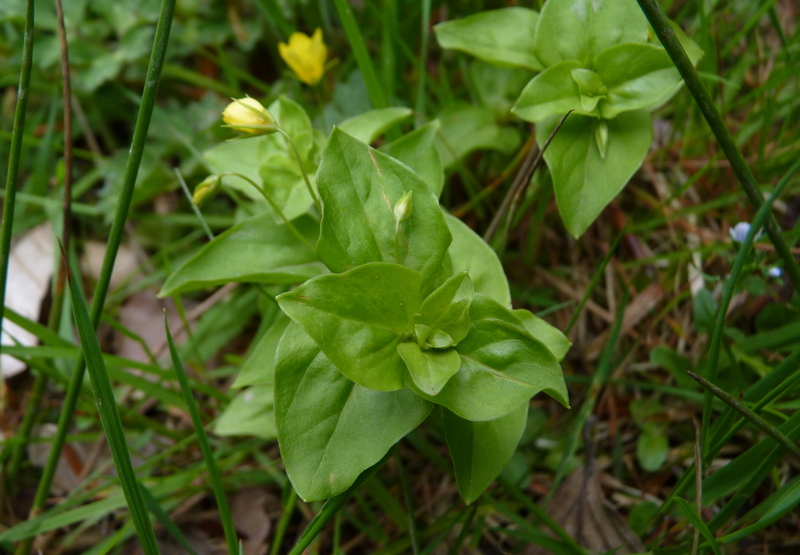 The leaves are oval and pointed. 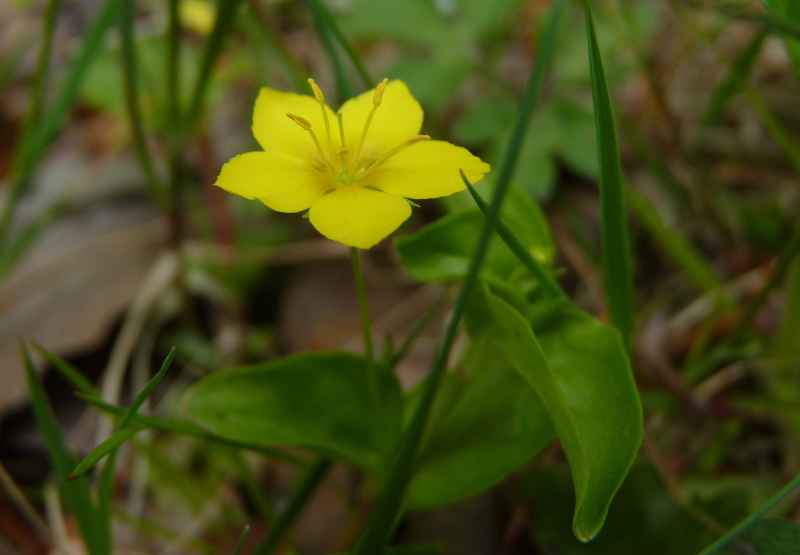 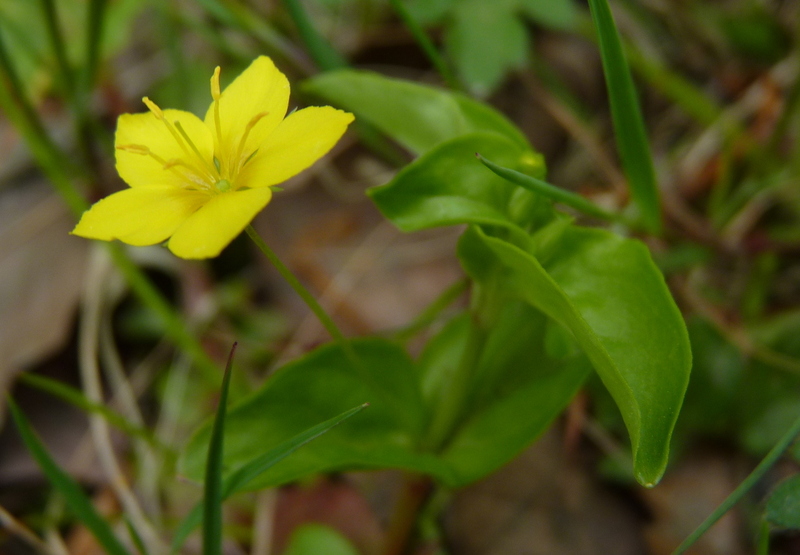 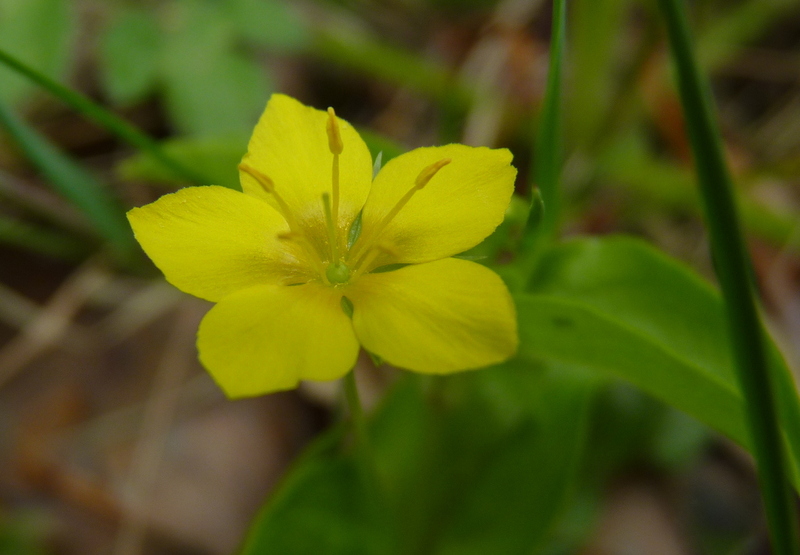 Yellow Pimpernel flowers from May until the end of August.